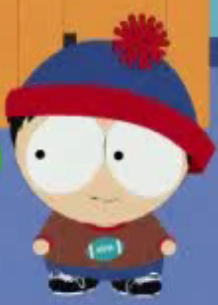 Just Stan. . Wallpaper and background images in the Stan Marsh club tagged: stan marsh south park. my sis said so cute ! Holy crap his eyes are bigger than my hand! But still so cute none the less.